Tacos are a big winner with everyone in our house, so they come up fairly regularly on the menu. A couple of months ago when I went to make them I found that somehow I had left the shells off my shopping list. Oops! So this is what I came up with as the alternative. It works really well – we have had it a few times and it leaves a smile on all 6 faces – yay! Place the carrot and zucchini in the food processor and blitz until very finely grated (or speed 7 for 10 seconds). Add in the lentils and process again until well combined (Speed 6, 10 seconds). Add in the seasoning and pulse a few times. Add in the mince and process, pausing the scrape down the sides, until the mixture is fairly smooth and well combined (Speed 4, approx 30 seconds). Heat oil in a heavy based pan. 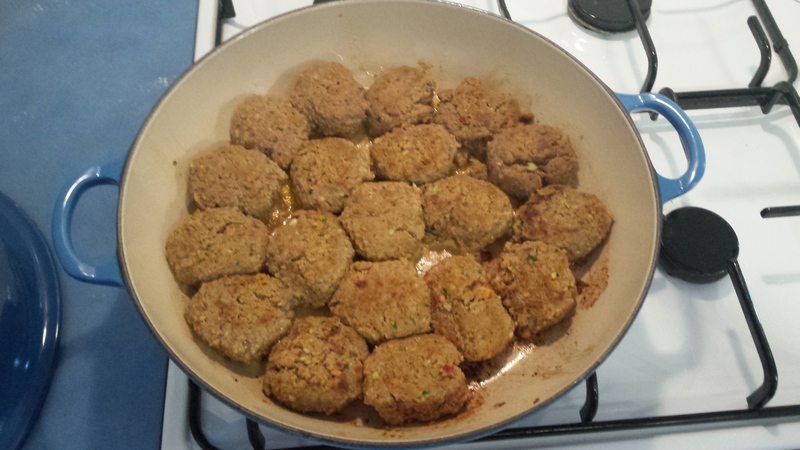 Form meat mix into balls and place in pan, turn the balls so that they are browned top and bottom and then add the salsa, tomatoes and water. 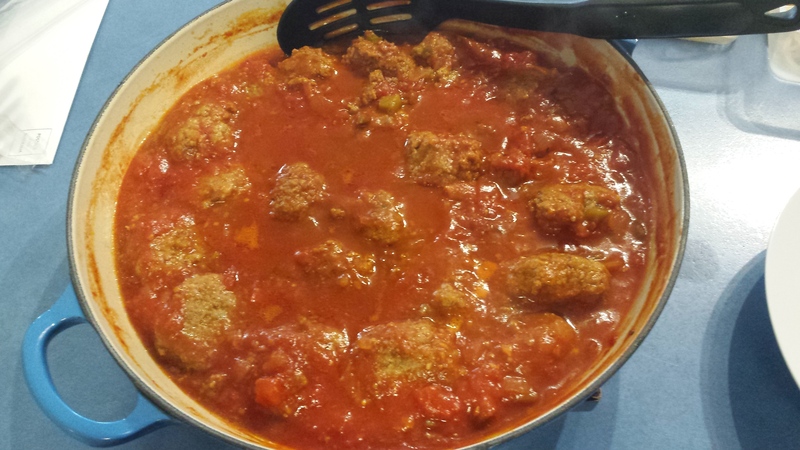 Ensure sauce is evenly distributed around balls and bring to a simmer. 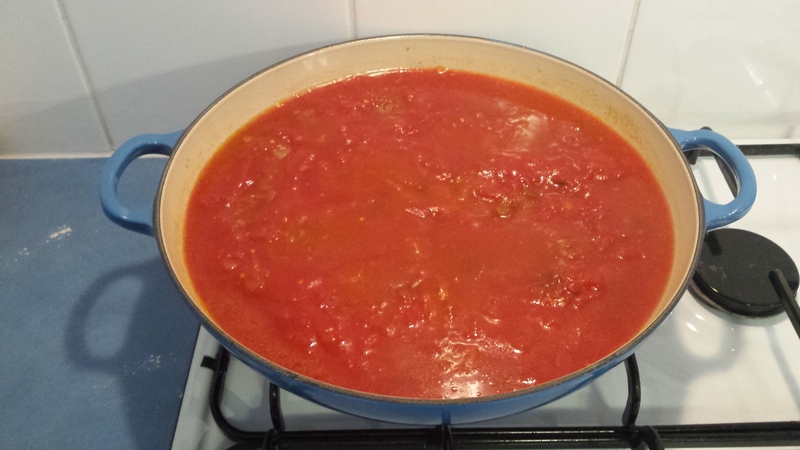 Simmer gently for about 25 minutes. Makes about 20 balls. 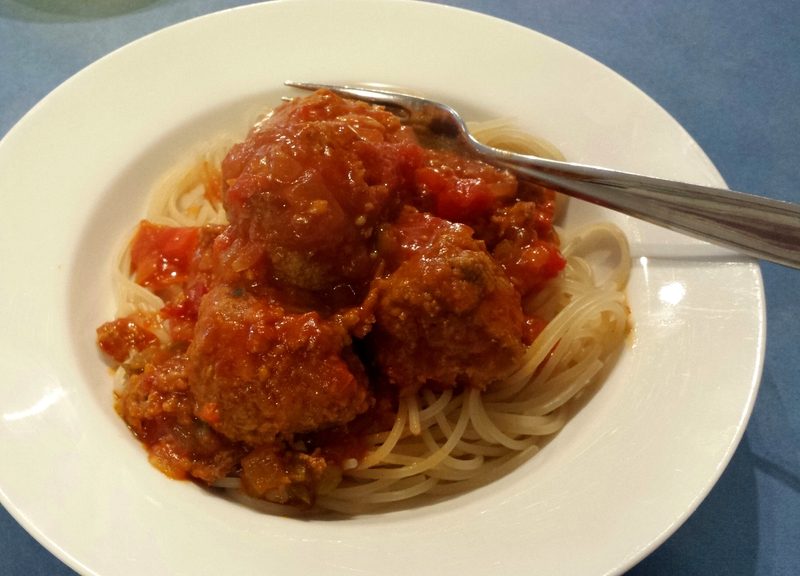 They freeze and defrost well too – my tip is to the freeze the balls in a container of the sauce and then jut be gentle when re-heating. If you have some mushrooms that are a little past their best, add them in too at the beginning with the carrot and zucchini. If you find that your mix is a little too wet you can add in about 1/4 – 1/2 cup of GF breadcrumbs to help bind.